Artist and Curator dialogue: Tues 12 Mar, 6.30pm. Register for the talk here. Read our interview with Nguyen Anh here. Mai Nguyen Anh’s intimate family history project spans the complex history of modern Vietnam, beginning before the second Indochina War of 1955-75 to the present day. The protagonists are Mai’s grandmother, Mrs Huong, 77, and her older brother Mr Tuyen, 81, who were parted at a young age in the early 1950s and lost contact for years after, due to multiple geopolitical circumstances. Living in Hanoi, Mrs Huong received news of Tuyen’s survival when he wrote to her from the United States in 1976, where he and his family had escaped to following the fall of Saigon the year before. She learned about his life in the south, where he had risen to become a high-ranking official in the South Vietnamese government, and his struggles in America. Fearing retaliation from the Communist party and preoccupied with the difficulties of raising his family as refugees, Tuyen was only able to make a brief visit to Hanoi in 2015. It was then that they were able to reunite after 63 years of separation for the first, but also possibly the last time. With photographs, videos and narratives, Mai’s ongoing project tells the story of the tenuousness and persistence of familial ties in the face of geographical dislocations and social crises brought about by political upheaval. Tuyen is very much in the mind and heart of Mrs Huong as the only surviving member of her immediate family, but distance and difference has rendered him a remote figure to her and their relatives in Hanoi. The images and interviews in Mai’s work thus attempt to portray the elusive Tuyen, using letters, old photographs, personal memories, family lore, and documentary and imaginative portraiture. Amidst the large scale of history, as constituted by regime change and the emergence of modern states, systems and societies, this project powerfully focuses on the real and emotional effects these have across generations of a single extended family. It reveals the endurance of belief and the consequences of war between north and south Vietnam that persist to this day. Mai is the recipient of the Open Category award in the inaugural Objectifs Documentary Awards 2018, which champions Objectifs’ mission to broaden perspectives through image making by supporting original voices in visual storytelling and in the wider region. Selected by a panel of five judges, the awardees were given professional and financial support to work on their projects over a nine month-long period. Mai Nguyen Anh is a Vietnamese visual artist who has an interest in contemporary issues. His works are often a mixture of observational and poetic documentary rich with personal investment. Majoring in Economics at the University of Surrey, United Kingdom, his interest in documentary photography led him to work in photojournalism, and he joined VnExpress Newspaper as a contract photographer in 2013. In 2015, Nguyen Anh left VnExpress and has been freelancing for various local news outlets as well as focusing on his personal projects. In 2016, he finished a One Year Certificate at the International Center of Photography in New York and co-founded Matca, an online photography community in Vietnam. Sam I-shan is a curator at National Gallery Singapore, working on modern and contemporary Singapore art. She was previously curator at Singapore Art Museum and Esplanade Visual Arts, focusing on the moving image and photography from Southeast Asia and wider Asia. At Esplanade, she curated and managed new commissions and site-specific exhibitions with a range of regional artists. 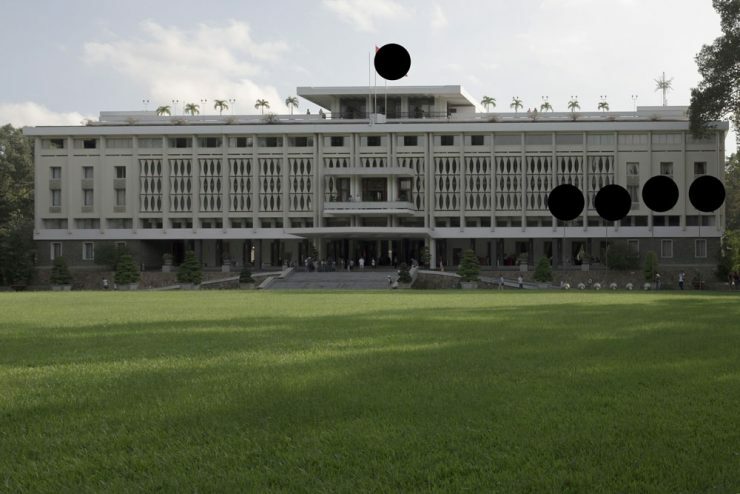 Exhibitions at SAM include Afterimage: Contemporary Photography in Southeast Asia, and the APB Foundation Signature Art Prize. She also headed film and moving image initiatives at SAM including Artist Films, while co-programming the Southeast Asian Film Festival.